The Suffolk Coastal Strut welcomes members from not only Suffolk, but also Essex, Norfolk and Cambridgeshire. We hold monthly meeting normally on the 3rd Wednesday at Crowfield, considered our 'home' base, although members have aircraft based at Andrewsfield, Elmsett, Great Oakley, Little Baddow, Mendlesham, Maypole, Monewden, Nayland, Priory Farm, Seething, Waits Farm, Wolves Hall, Wormingford. While Boxted, in Essex, is the home to our fly-ins. Visitors to Crowfield are most welcome (although restrictions apply) and flying instruction/PPL hire is available in the Flying clubs two Robin HR.200/120B, Robin DR.400/180 and Pa18-150 Super Cub. The now well established the April Meeting will be the Annual General Meeting of the Suffolk Coastal Strut. A tour of Lakenheath base as been arranged. This is a daytime visit on FRIDAY 17th May. As this is in the week of normal monthly meeting, this we be our May meeting. This visit is limit to 40 places and I will be collecting names a couple of months before hand as Lakenheath need the details of those attending 6 weeks in advance. Current plan is to meet up at Rougham Airfield at approx 10:30am to pick a hire coach to take us to Lakenheath. The tour should finish at approx 3:30pm when we return to Rougham. There is plenty of car parking at Rougham, although the location also offers the opportunity to fly in. As the June meeting falls around the longest day, the plan is to have an evening fly-out. The ones to Rougham/Clacton over the last couple of year seemed to be successfully, so just need to decided where. This would be somewhere local, so obviously giving time for folks to get back to base before dusk. On Sunday 3rd Februray 2019 there was a light aircraft crash and fatality on the Essex and Suffolk border. 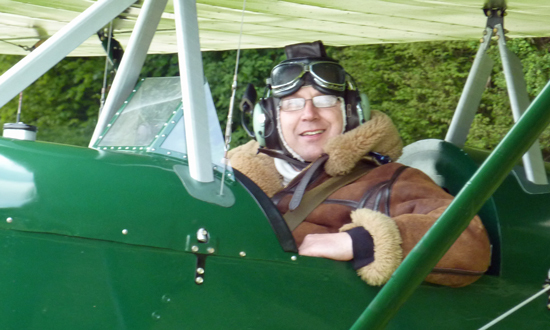 It is with great sadness that I have to announce that the pilot was one of our own Suffolk Coastal Strut members, Stuart Penfold. Stuart was a loyal and well liked Strut member (for over 10 years) and will be remembered for his gentle enthusiasm, good humour and support to many of the Strut's activities. At this tragic time, on behalf of the Strut, the committee send sincere condolences to Stuart's family. The Strut committee will consider appropriate ways in which we can contribute to a respectful and appropriate remembrance for Stuart.